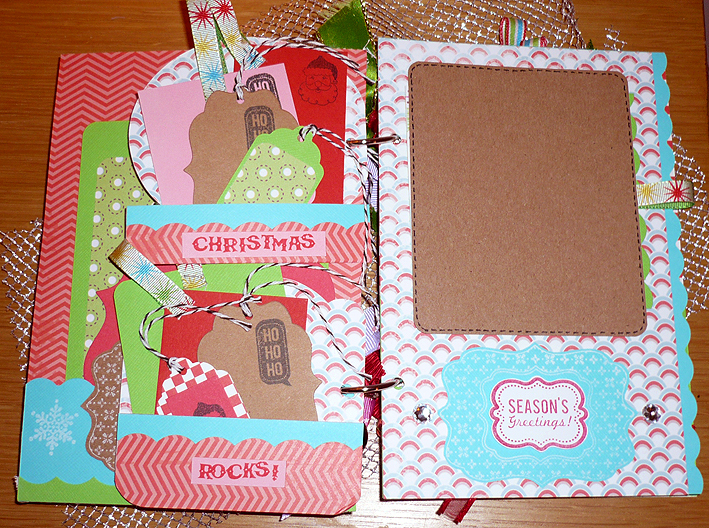 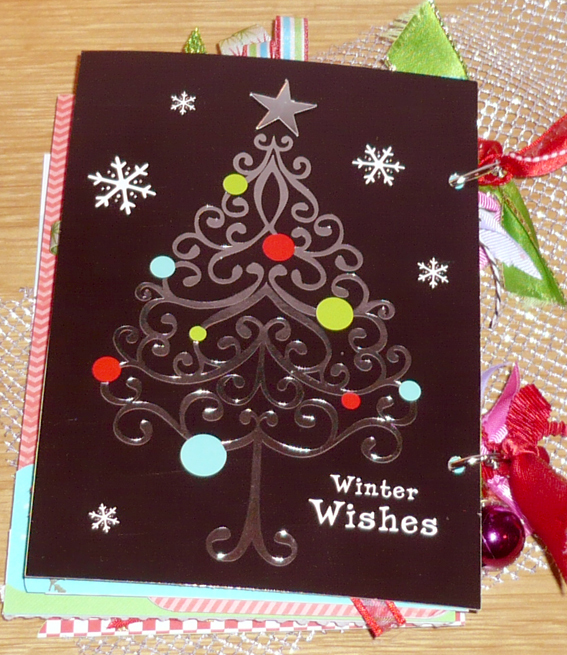 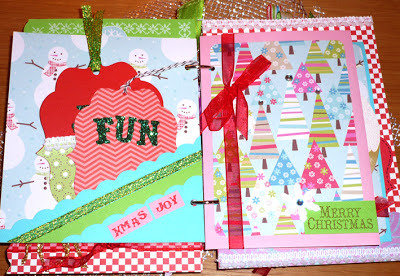 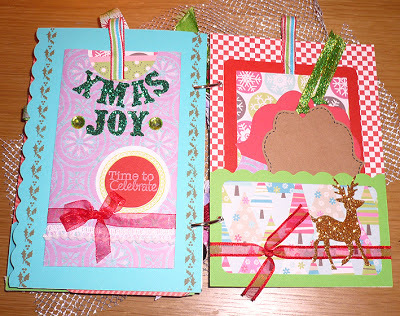 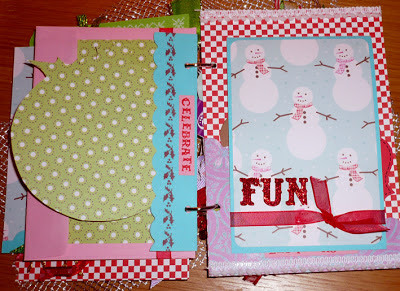 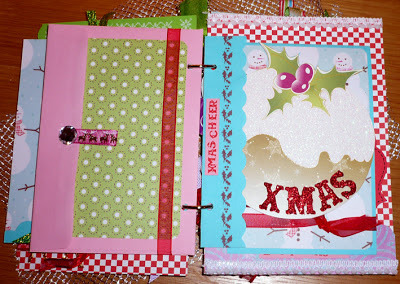 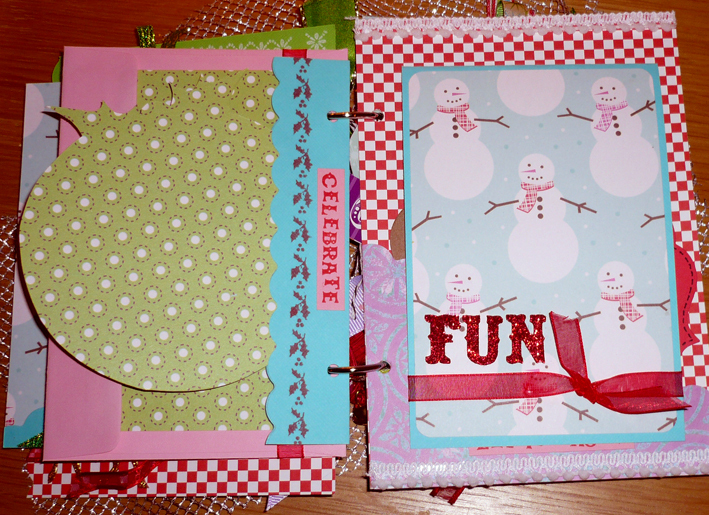 ...using some cutsie/kitsch recycled xmas cards, ribbons, packaging etc.! You see, it's all my sister's fault as she gave me the glittery skull Christmas card - and it was just too awesome to put in the recycling bin and too large to make into a tag, so inspiration led me to indulge in some non traditional, Chrimbly colourfulness and yep, it just had to have the starring role as the most excellent non-christmassy minibook cover! Ok so, it might not be to everyone's taste but, you have to admit - it's a very festive skull! 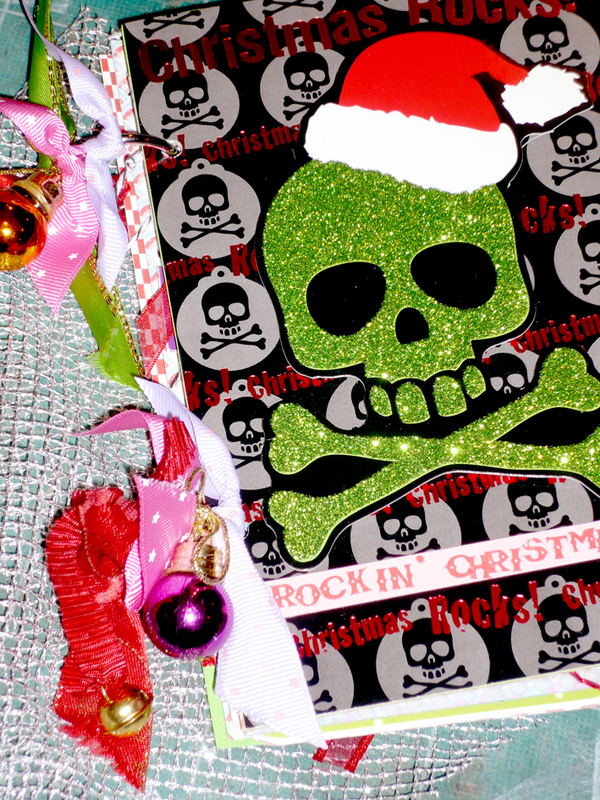 And as it clearly states - Christmas Rocks!!!! Soooo true!!!! 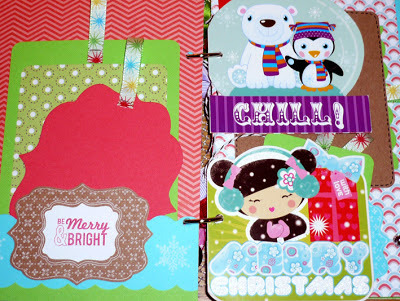 I have managed to use quite a variety of papers ranging from Papermania Happy Days to some old Brenda Pinnick stuff that's been kicking around for a while. 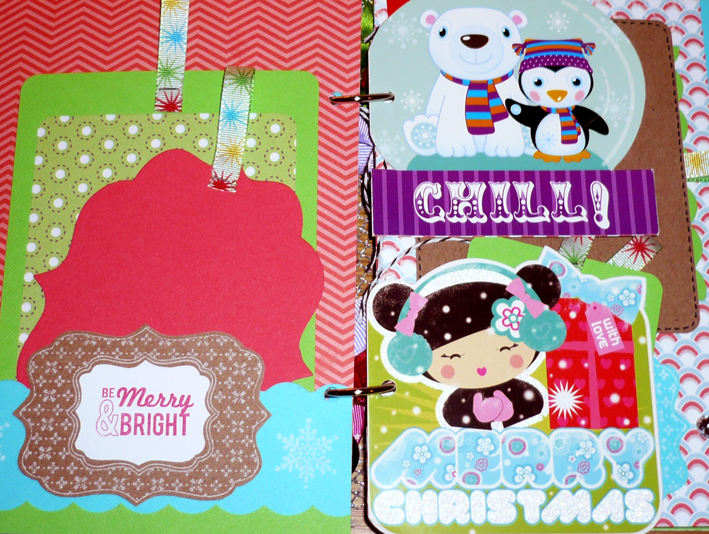 I also snapped up a bargain in Hobbycraft - they had these dovecraft 12x12 papers called Merry Magic which were a snip at £2.99 and the cute colours were such a perfect match to the other cards I was putting in there, I couldn't pass them by... really I couldn't! I thought I'd carry the glitter theme throughout with some diecut Tim Holtz alphas which I'm hoping ties all the kitschyness together without overdoing it too much... Have any of you crafty peeps done anything creative with your christmas recyclings yet?